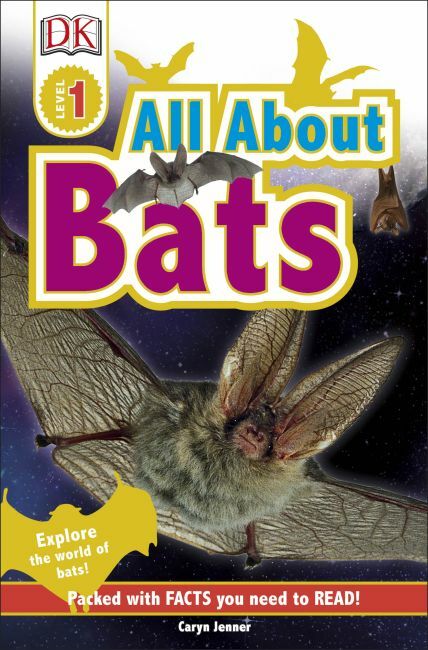 Fly through the spectacular, nocturnal world of bats with All About Bats. From leathery wings to echolocation, this nonfiction reader is an exciting look at these creatures of the night, and includes fantastic photography that will amaze kids as they read. Trusted by parents, teachers, and librarians, and loved by kids, DK's leveled reading series is now revised and updated. With shiny new jackets and brand-new nonfiction narrative content on the topics kids love, each book is written and reviewed by literacy experts, and contains a glossary and index, making them the perfect choice for helping develop strong reading habits for kids ages 3-11.